This super high quality sketch box easel stands out with its unmatched finish. Some of the finest grades of seasoned Beechwood have been selected for the manufacture of this classic. 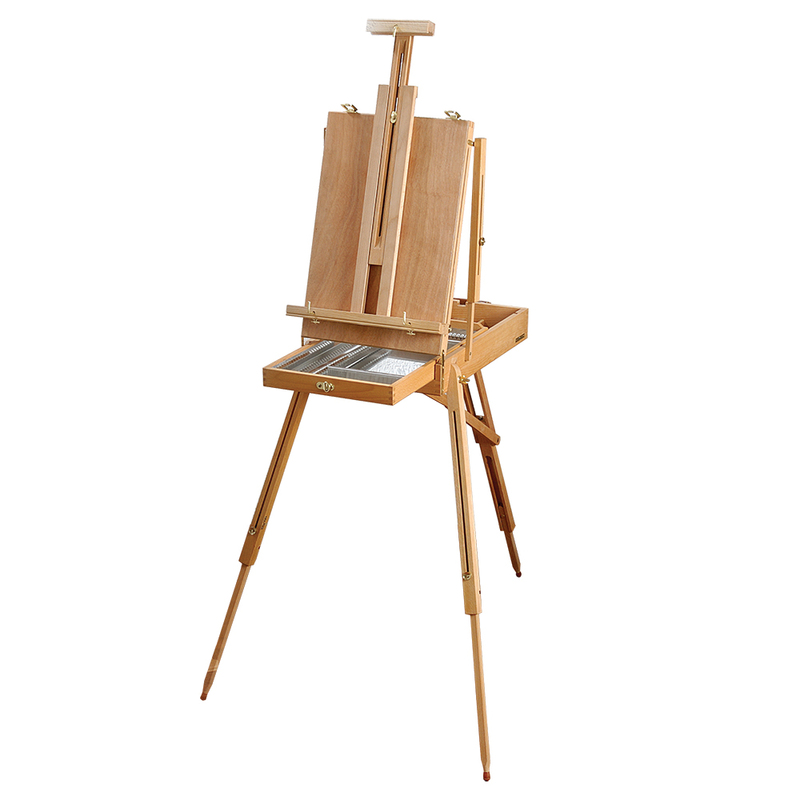 Both materials and methods of production used in creating this easel have been carefully chosen to meet the highest demands of the most discerning artist. Among its features are a canvas carrying shoulder strap and a special metal lined drawer.